Island hopping is a very popular type of vacations in Greece, as it gives the opportunity to see many islands at once, to get a taste of many diverse destinations. Although all Greek islands are wonderful and authentic, each of them is unique, offering something special to visitors. For this reason, ferry hopping between islands is much preferred by tourists. Most Greek island hopping vacations depart from Athens, but, during summer, there are also many hopping tours from the islands, as there are direct flights from European and Mediterranean airports to various islands in Greece. Santorini, the famous island of Cyclades with the distinctive volcanic scenery and the impressive sunset, is one of the most popular departure points for island hopping. 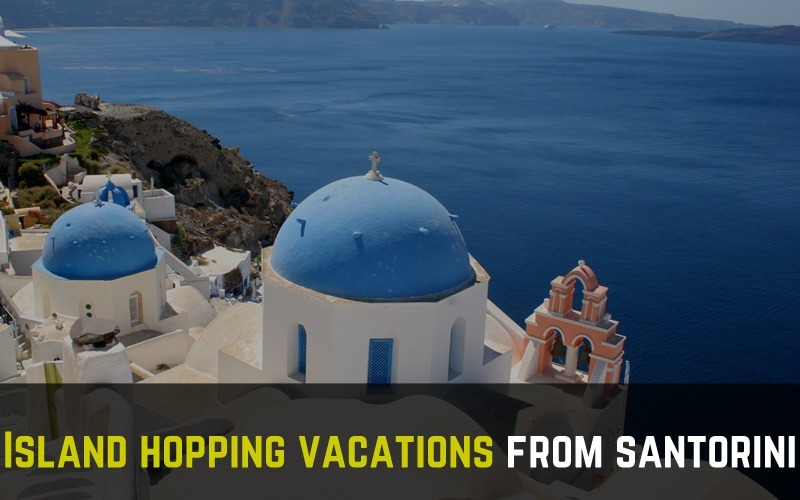 Here are our most suggested island hopping tours from Santorini for 2015. A very interesting and convenient island hopping package is from Santorini to Crete, the largest island in Greece. These two islands have totally different landscapes and history, but they are both extremely beautiful. Santorini, with its volcanic formations and stunning sunset views, is offered for romantic and relaxing vacations, while Crete is perfect for relaxing in nice beaches, hiking at the mountains, and visiting museums and historical sites. The most important historical site in Crete is the Minoan Palace of Knossos, an impressive archaeological site that was found almost intact, buried under the volcanic ash from Thera eruption. 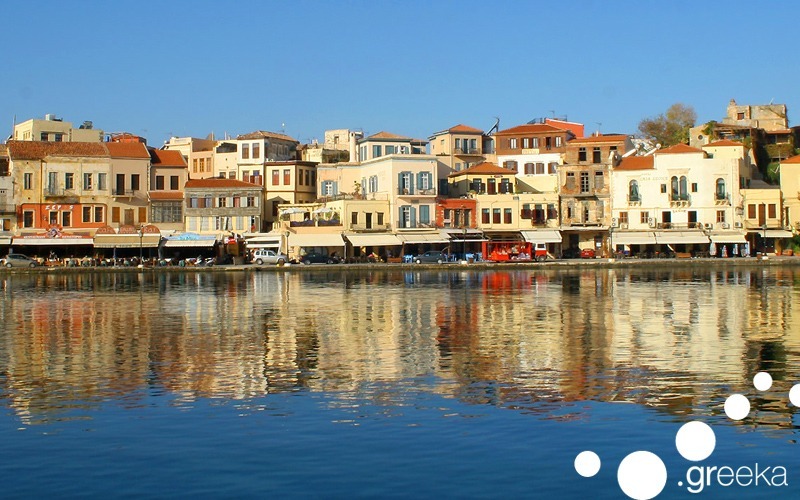 The regions of Heraklion and Chania are the most popular tourist places in Crete, while a drive around the island will bring you to many secluded spots for total privacy. Another island hopping route is from Santorini to: Mykonos, Folegandros and Milos. Santorini and Mykonos are the most popular Greek islands, especially among young people and first-time visitors to Greece. In Mykonos, there are a lot of stunning beaches, with amazing beach bars that turn into extraordinary party scenes. The traditional architecture of Mykonos with whitewashed houses and narrow alleys is also worth exploring. After Santorini and Mykonos, visit Folegandros and Milos, two peaceful destinations, ideal for relaxation and romance. Folegandros combines a rough background with magnificent beaches, such as Agali and Katergo, and untouched secluded bays. Enjoy marvelous views to the Aegean sea from Chora of Folegandros, one of the most picturesque villages in Cyclades. Spend the last days of your island hopping vacations from Santorini in the romantic island of Milos. Take a boat tour around Milos to discover the secret caves of Kleftiko and the special geology of the island. 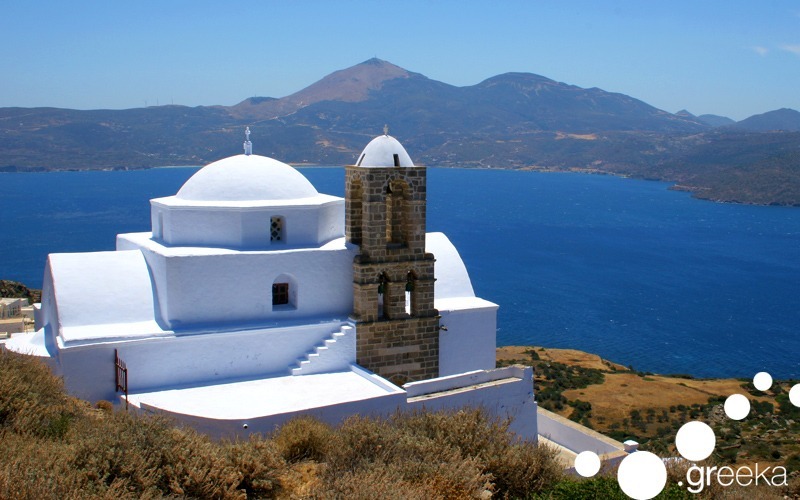 Another fantastic choice is to go on island hopping vacations from Santorini to: Paros, Naxos and Koufonisia. There is an exciting tour, which gives visitors the chance to explore all these islands in a single holiday. Holidays start in Santorini, this fantastic island with the impressive sunset, the water-filled caldera and the unique landscape. Enjoy your time, while visiting the volcano or taking romantic walks through the pretty villages. Hop next to Paros, a beautiful island in the Cyclades with cosmopolitan atmosphere. Paros is renowned for its fun nightlife and amazing villages, like Naoussa and Parikia. Paros beaches are mostly sandy and organized, ideal for windsurfing and kite, just like the beaches of Mikri Vigla and Saint George in the neighbouring island of Naxos, the next destination of this island hopping route. 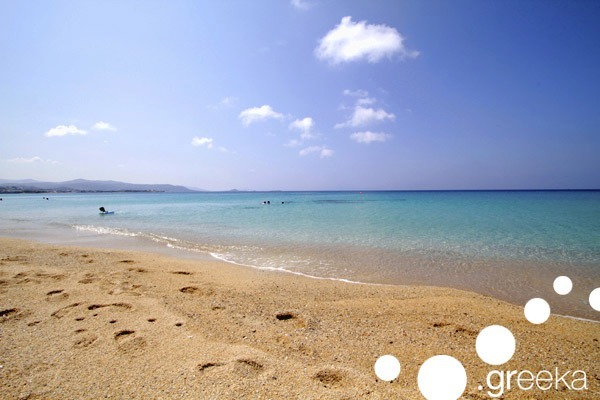 Naxos is a wonderful island distinguished for its fantastic beaches and the traditional villages in the countryside. The final step of the tour is the tiny Koufonisia island, a peaceful place with exotic naturist beaches, which can only be accessed by foot or bike. Do you have another island hopping vacation in mind? We can organize your travel!